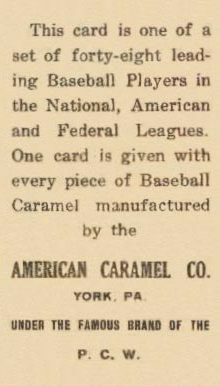 American Caramel Co. of York, PA. 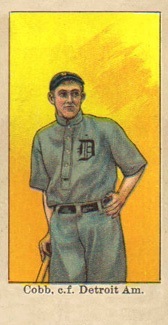 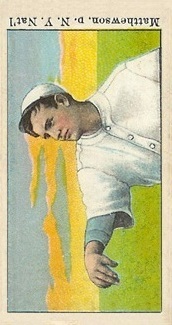 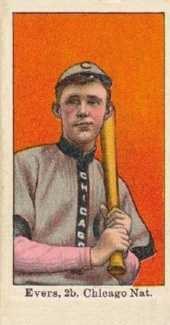 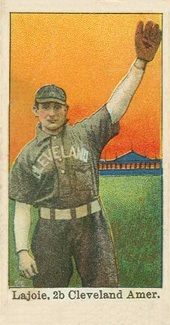 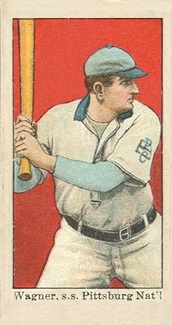 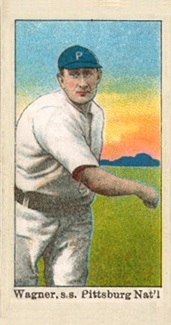 Issued this set in 1915. 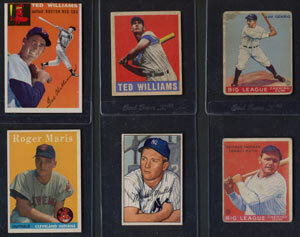 The front of the card is similar to the E90-1 and E92 sets but has a glossy coating on the fronts. 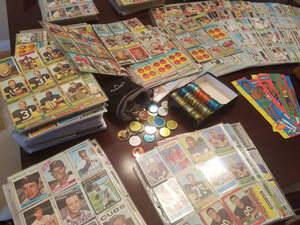 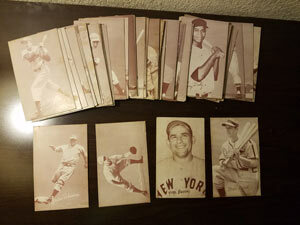 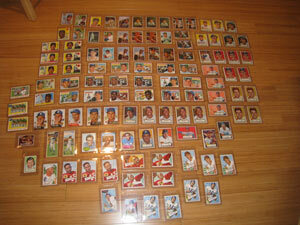 The backs have the manufacturers ad and state a set of 48 players. 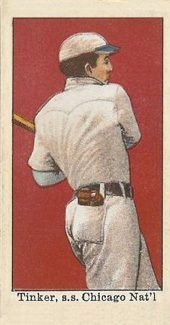 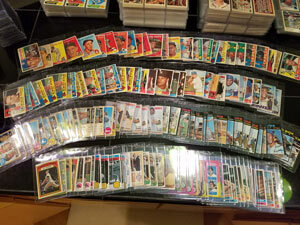 Due to their strong glossy obverse surface, these cards were very susceptible to heavy creasing and/or cracking, making even “VG” examples very difficult to come by.